Global Recycling Day takes place on 18th March each year to raise awareness about the global issue of recycling. Read on to discover how you can take part. 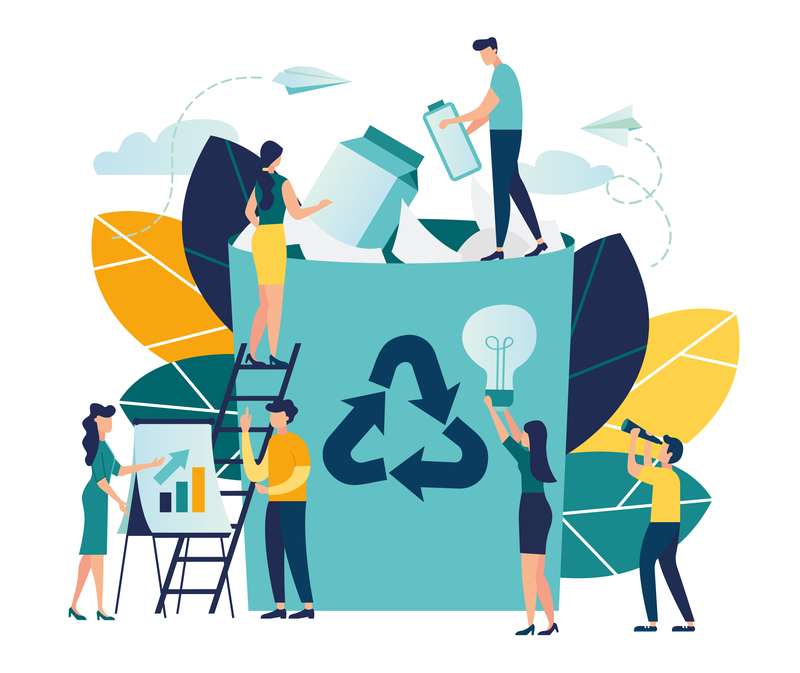 Born in October 2018, Global Recycling Day was founded by the Global Recycling Foundation (formed by the Bureau of International Recycling, but run independently). The purpose of Global Recycling Day and the Global Recycling Foundation’s mission is to showcase the crucial role of recycling in securing a healthy future for our planet. More importantly, Global Recycling Day was set up to encourage people to change their perspective on recycling by viewing waste as a valuable future resource. At Westminster City Council, we share this sentiment and are passionate about educating others on recycling best practice. Why do we celebrate Global Recycling Day? Climate change is the most significant environmental issue of our time and together, we must take action to preserve our planet’s future and protect the Earth’s valuable natural resources. Recycling (by both businesses and residents) saves more CO2 emissions each year than those generated by the entire aviation industry. That is why raising awareness about recycling — including educating everyone about recycling best practice — is crucial to tackling climate change. At Westminster City Council Commercial Waste Services, we support Global Recycling Day day in, day out by ensuring your waste is handled responsibly. The main way that you can help is by committing to recycling properly every day. If everyone commits to better recycling practices, it will have a huge long-term impact by reducing CO2 emissions and the amount of waste that goes to landfill. Committing to reducing your use of plastic. Plastic consumption creates a huge problem for the environment, as many types of plastic can’t be recycled. Try to buy less plastic and reuse what you already have where possible, such as plastic water bottles and carrier bags. Please see our guide on 8 tips to reduce business waste. Educating yourself on how to recycle correctly. This will ensure you know which materials can be recycled and where they should go. Westminster City Council’s recycling A-Z is a great place to start. Spreading the world. Sharing the importance of recycling and how to do it properly with friends, family members and colleagues will help to ensure everyone commits to recycling and is able to follow best practice. Repairing and reusing. Before going out and purchasing something new, consider whether there are items that you can reuse, mend, rent or borrow. To celebrate Global Recycling Day, we also encourage you to take part in the #RecyclingGoals challenge — a social media movement that encourages others to commit to recycling in the run-up to the big day. To participate, simply film a short video of yourself scoring a ‘Top Bins’ goal by using your recycling bin as a football goal, while pledging to commit to better recycling practices. You could pledge to buy less plastic, for example. Remember to nominate someone else to take part, too! Finally, share your video on social media using #RecyclingGoals to help spread the word. At Westminster City Council, we understand that it can be difficult knowing what waste goes where. 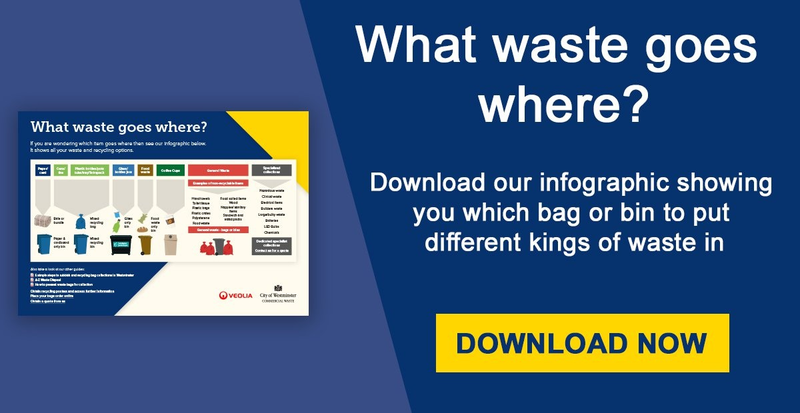 We have made your life easier by creating a simple guide that teaches you exactly where different types of waste should go. Download the guide now.